I stayed at the ridiculously famous (and infamous) Hotel Chelsea (at 222 West 23rd Street) on two occasions: in 2005 and 2006. Since 2011 or thereabouts, it's been undergoing renovations, but is supposed to re-open "soon." 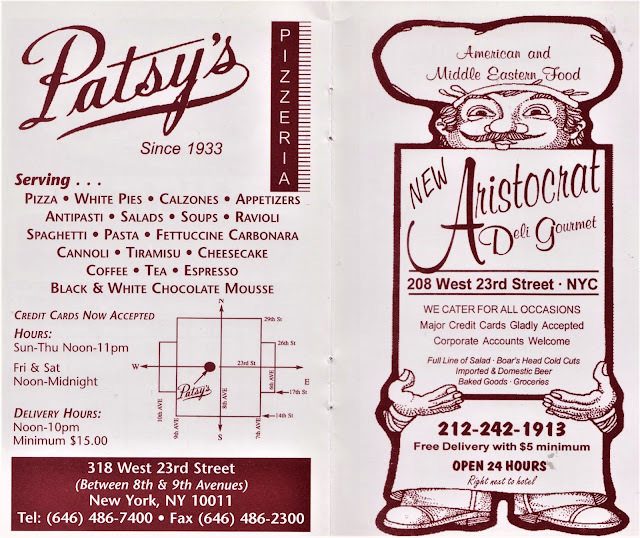 So many of the nearby places then advertised in its little welcome booklet are gone or transformed that now seems as good a time as any to post scans in honor of them all -- in a sort of spectral afterglow salute. The New Venus Restaurant shut down in or after 2013, and has been superseded by the Fork Bar & Grill diner. 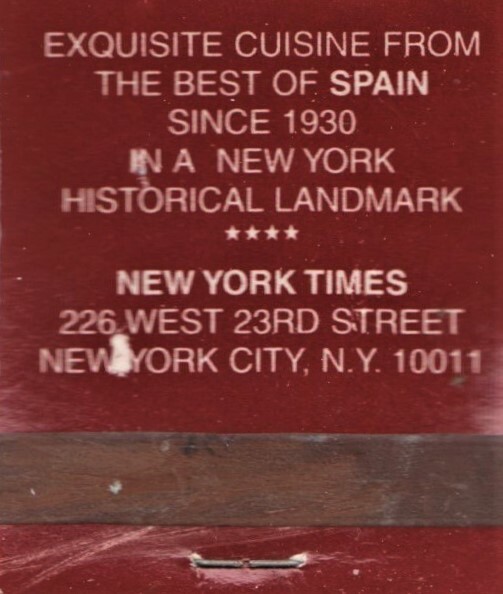 At 226 West 23rd Street, El Quijote ("Exquisite Cuisine From the Best of Spain") opened its doors in 1930. 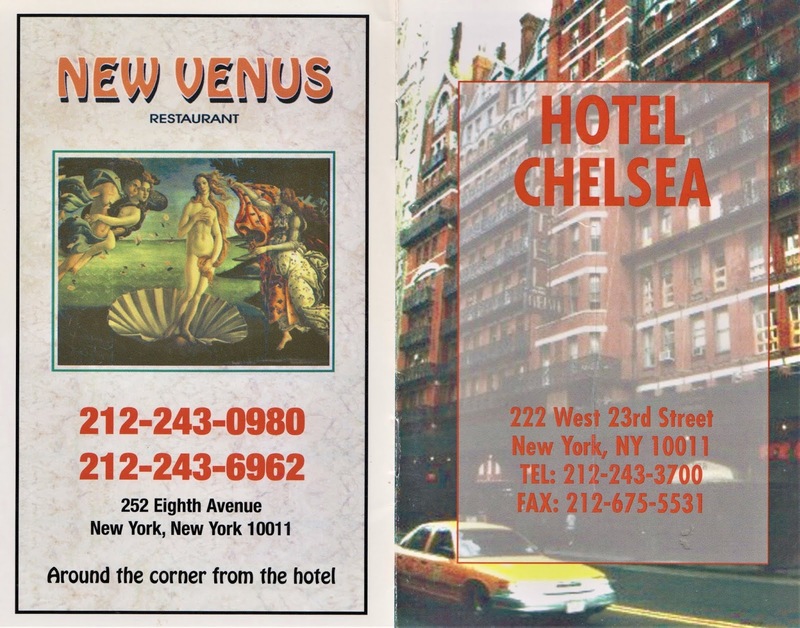 As of early April, 2018, it, like the Hotel Chelsea to which it's attached, has been closed for renovations. Hopefully it will re-open soon, later this year (2018). Matches from El Quijote. Art-ifacts that keep on giving. Patsy's Pizzeria at this location (318 West 23rd Street between 8th and 9th Avenues) is now shut. 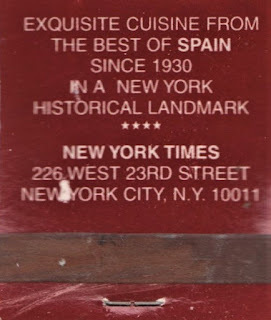 It opened in 1933, so it lasted more than seventy years -- a good run. 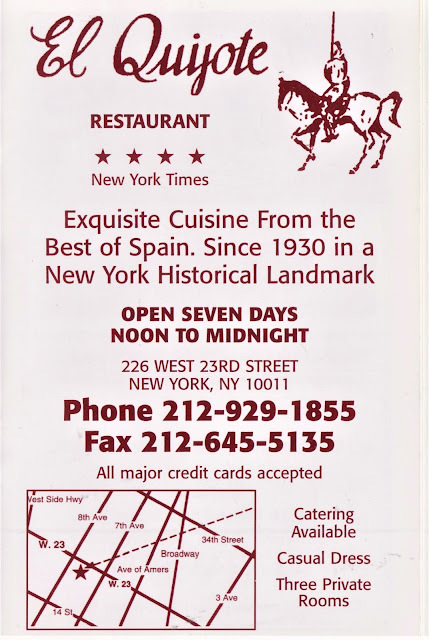 The New Aristocrat Deli Gourmet at 208 West 23rd Street is still open, so far as I can tell. 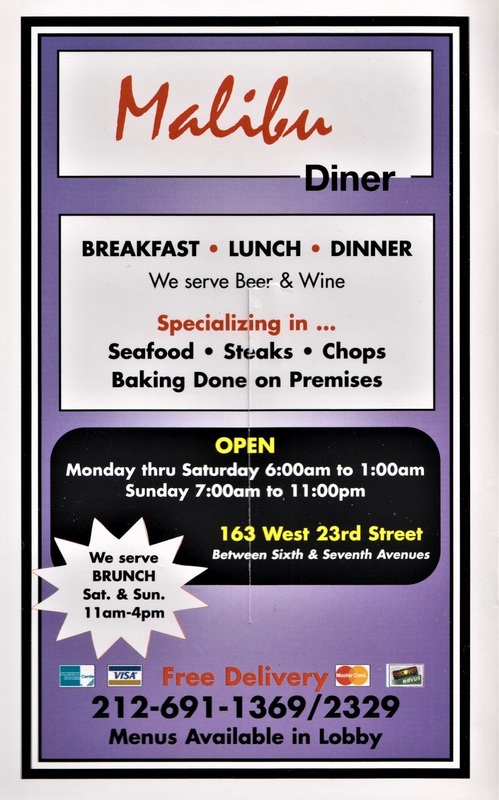 Malibu Diner at 163 West 23rd Street between Sixth & Seventh Avenues is still open as of this post. Here's a link to their website. 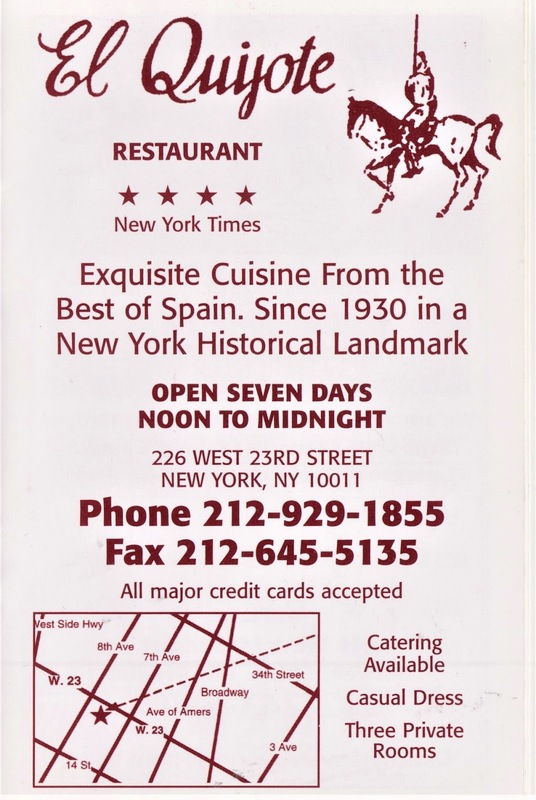 It's now open 24 hours a day and still delivers.